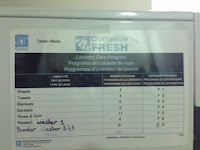 In one year, Taylor-Made processes over 100,000 pounds of sheets, blankets and comforters and folds over 25,000 towels. The staff of 4 takes care of the washing, drying, folding and pressing of each piece of laundry to help prepare each home and the many beds that are made over 25,700 times in a year. There are three 50 pound washing machines, two 75 pound dryers and a pressing machine to make up the in-house laundry department. The soiled laundry is loaded into the washer and a selection is made on the chemical station as to the amount of bleach, alkaline and/or detergent necessary for each load. Then, an hour later, the items are ready to be dried or pressed. The flat items such as sheets and pillowcases are processed through a press that heats to 365° to automatically dry, press and fold in less than 20 seconds. The other items are put into one of the two dryers that take approximately 40 minutes to run. Once the dryer items are complete, there team says there will often be, literally, a 10’ high cart to be folded in the afternoon. The clean and folded items are then organized by size and type. There are folded items on selves divided into king, queen, full, and twin sheets, pillowcases, regular towels, hand towels, washcloths, and bath mats. This process is non-stop and, depending on the season, between 16-24 loads will be completed in an 8 hour shift. 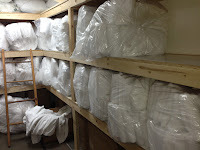 To prepare the laundry to be taken to the homes, bags are then packaged with a standard 18 towel items in each and then adjusted based on specifics for each home. 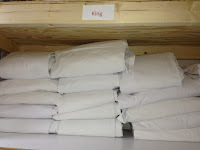 Separate bags are also prepared for the remaining linens according to the number and size of beds in each home. 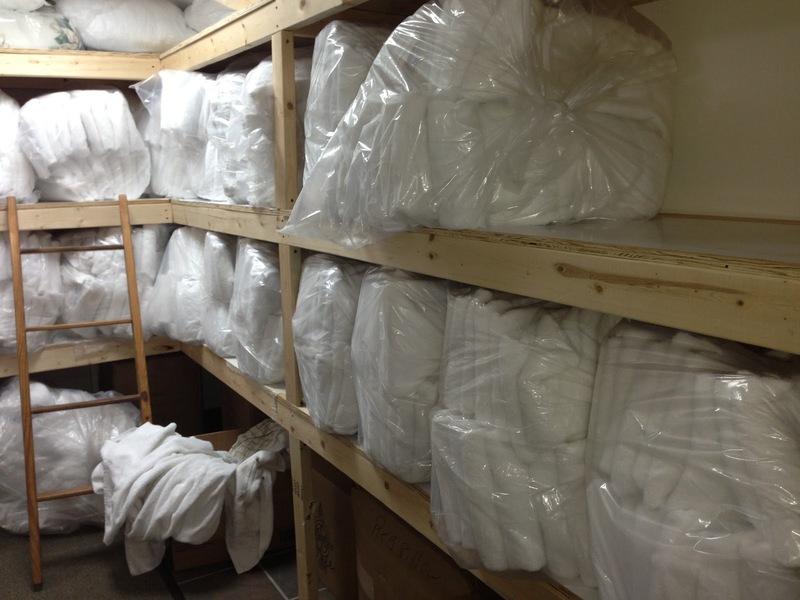 Each morning the staging area will be lined with numerous sets of towels and bedding for each home. 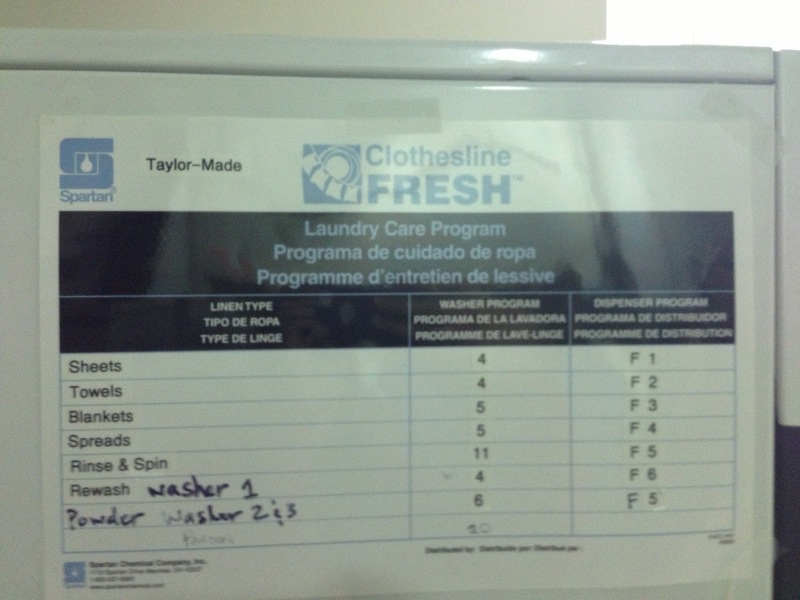 The housekeepers will take the laundry to the homes and return the soiled linens back to our laundry department. Then, the process repeats again; our laundry department operates 7 days a week. If you have had the pleasure of being in our area as of late, then you must have noticed the obvious signs of lake life reawakening. Docks are being put in, fishermen are taking advantage of early morning glassy waters and flowers and trees are blooming. This the perfect time of year to get outside and enjoy the fresh mountain air. With a bevy of locations to go hiking, mountain biking or even horseback riding, it is another reason to visit Deep Creek in the off season. One of my all-time favorite outdoor activities is to take the family out on a geo-caching adventure. A “what kind of adventure?”, you may be asking. Geo-caching! 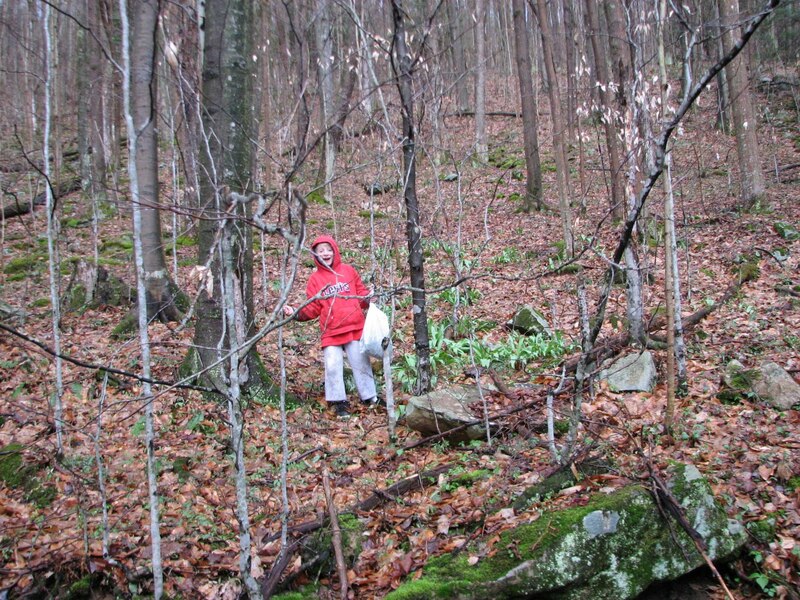 (Pronounced G-O Cashing) Geo-caching is a real world outdoor treasure hunting game. Players try to locate hidden containers, called caches, by using a GPS-enabled advice. It’s like a newer version of scavenger hunting, only more technically advanced. Players go online where they enter the zip code for the area that they are going to be hunting. They enter the coordinates into the GPS, decipher clues if available, and set out on an adventure. These hunts vary in difficulty but it is an easy and fun game to learn. Another neat fact about geo-caching is that most containers contain a book that you can view and sign. How amazing to see how far people have come. (My family has a cache that we created and hid. We were so excited to see one group was from Canada!) In most containers, there are trinkets left from previous cachers. The rule is, if you take something out, you must put something back in. (I claimed a most awesome Winnie the Pooh Pez dispenser!) The Adventure Sports Center International (ASCI) located on top of Wisp Mountain offers some terrific Cache Tours which will give you the gist of the game, if you are reluctant to try it solo. 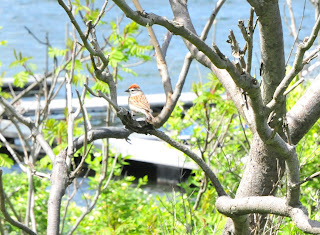 There are so many great caches to be found here in our area. So, if you are looking for something a little new, a little different, a little unique, then try out geo-caching! Another unique event to check out that that characterizes life here in the mountains is the Wild Foods and Ramp Cook Off that is being held Saturday, April 27th at the Deep Creek Discovery Center. Ramps or Leeks (Spring Onion) are grown throughout the area and are often picked in late March and April. With a strong poignant taste and pungent odor, it is often seen as a delicacy and can be used in many food dishes. At the ramp cook off, guests are invited to enter their own tasty dish or just sample some of the many wonderful dishes that are offered (Be forewarned! Ramps will not make you popular as they are also known for leaving those that enjoy them with a strong case of halitosis!) For more information on the event, check out the Discovery Center online. http://discoverycenterdcl.com/. 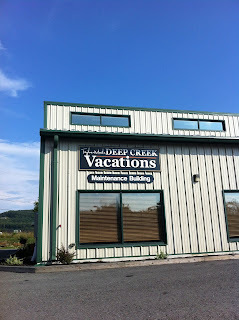 Now is the time to call us here at Taylor-Made Deep Creek Vacations for the best deals on your next Deep Creek stay! In the meantime, we can’t wait to see you at the lake! Spring weather has finally arrived, better late than never, here in the mountains. We have been graced with some awesome weather and temps in the comfortable 70’s. It’s a great time to get outside and get active. Swallow Falls State Park showcases Mother Nature at her finest and the largest waterfall in the state of Maryland but also offers fantastic hiking and mountain biking trails. Check it out on your next Deep Creek getaway! 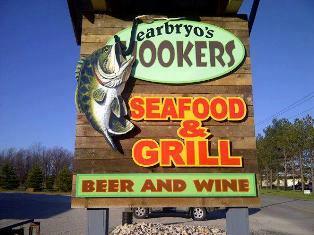 Last month Taylor-Made Deep Creek Vacations was the humble recipient of a hosted lunch by Jearbryo’s Hookers Seafood & Grill. Yum! They served a variety of fresh made wraps and their famous crab dip served with fresh breadsticks! Such a wonderful treat and so greatly appreciated! If you haven’t been up by there in a while, I strongly recommend that you check it out as they offer a wide variety of seafood dishes and choices! Celebrating their 1 year Anniversary this week, they are ready for their guests to come and check out the newly added outside patio, ideal for dining out on a warm spring evening or a nice summer day! (Anyone else picturing fresh crabs and cold beer?) Check out their website (www.jearbryos.com) for a complete menu listing and to see some of their great offers (very reasonably priced lunch specials, discount for Seniors on Monday evenings, Double Dinner Deals, and more!) I also got a chance to speak to Bryon, the owner, who is also very busy these days branching out into the catering world. You may have also seen him and his crew out connecting with the community at numerous local events and festivals (Autumn Glory, Art & Wine Festival, Friendsville Days, Little Yough Music Festival, and the list goes on and on!) They usually set up their little booth/ wagon and offer some of their most requested items such as their amazing crab cakes! So, if you are looking for a fabulous meal (especially if you are a lover of seafood like my family) then head to Jearbryo’s for a relaxing dinner out. 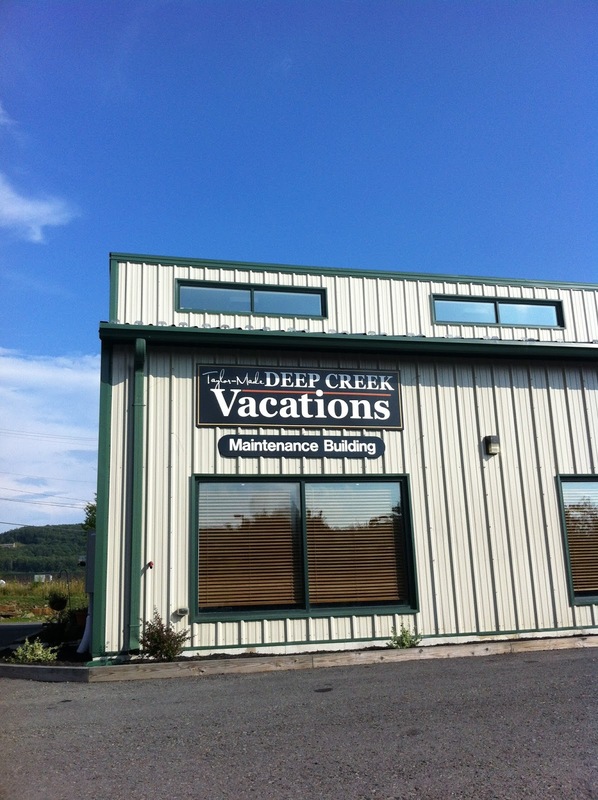 Taylor-Made Deep Creek Vacations is currently running some phenomenal discounts and deals (For an extended weekend getaway, ask about our “Stay 3 nights for the price of 2” special running through the 2nd week of May!). Now is also a good time to book your summer vacation. Homes are going quickly so in order to get the perfect home for you and your family, call and speak to one of our Reservationist on what you are looking for in a vacation home. See you at the lake!